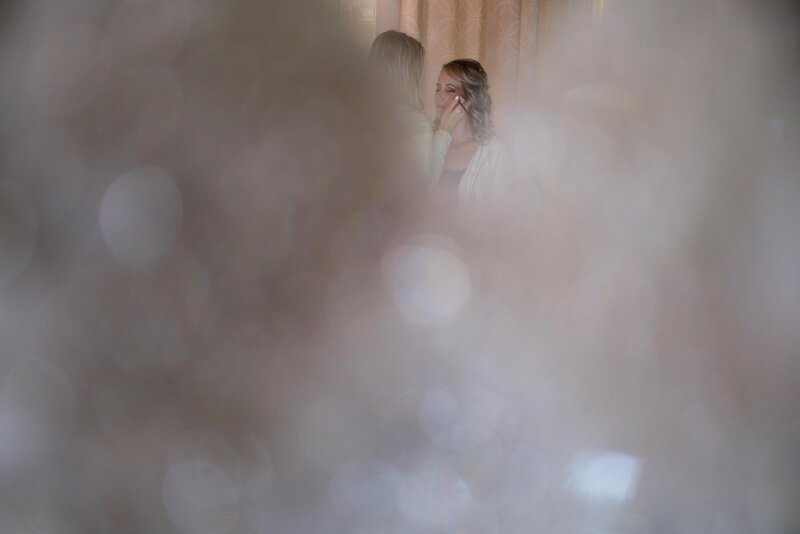 These two must have some good connections upstairs… their wedding day was a gorgeous one bookended by some really crappy weather. This worked out great since Alex + Colton had a beautiful outdoor ceremony on the ground of the Hessenland Inn. We even lucked out with a beautiful sunset for some nice golden hour portraits! Alex had both of the tower rooms above the Couch House to get everyone ready for the big day while the boys had the front house to relax in. Once everyone was ready, Alex had a big first look with her dad in the orchard and then we all headed off to the wedding ceremony in front of the waterfall. For portraits locations we were really spoiled. Right of the bat the the grounds at the Hessenland Inn are amazing but they’ve added vineyards and an amazing patch of sunflowers. We also had access to their private beach! The reception was great, with some really heartfelt speeches and of course an amazing meal! Liz and her staff always provide amazing service, making every guest feel like part fo the family. A couple of highlights from the reception… The grandparents dancing and celebrating their anniversary and Alex’s brother shaving his leg and pulling switch on a blindfolded Colton for the garter toss. 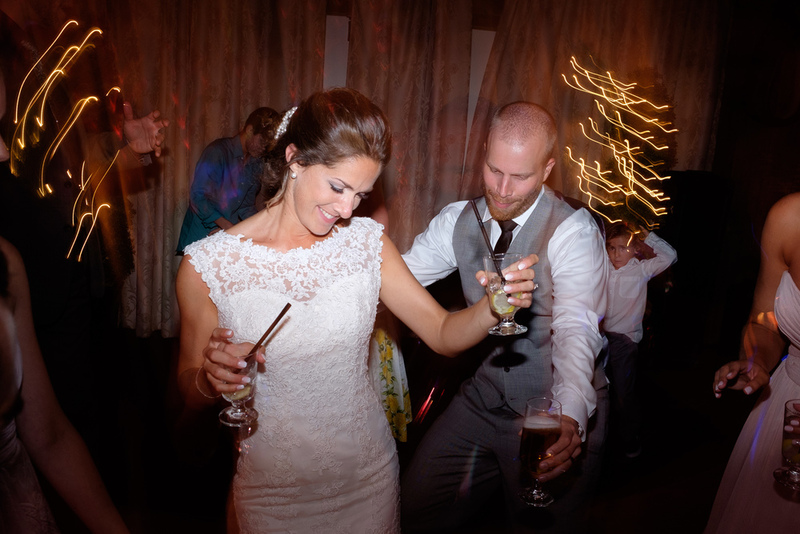 You can check out Rebecca + Jeff’s amazing wedding at the Hessenland Inn over here! I had an amazing Goderich engagement session with Alex + Colten you should check out too! If you have the password, you can see the full gallery of wedding pictures from Alex + Coltons wedding over on my proofing website. 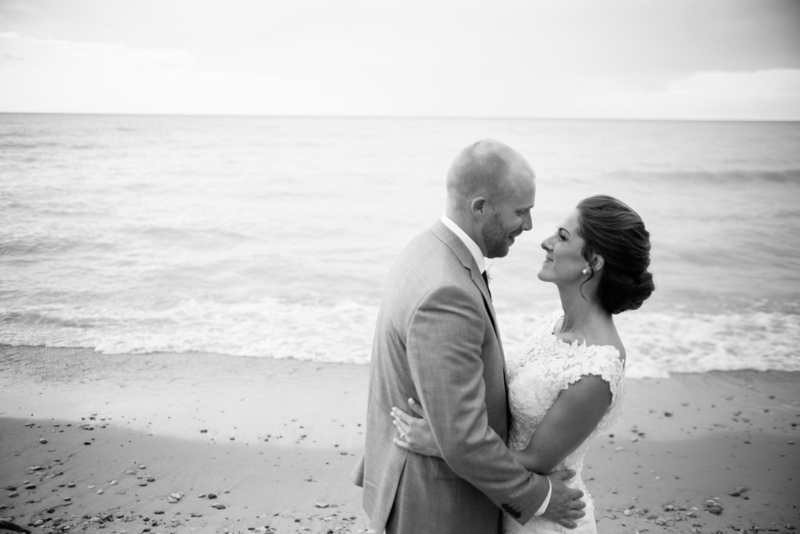 Rebecca & Jeff's wedding at the Hessenland Inn on the shores of Lake Huron was one of my favourite weddings of the year! Rebecca was a bridesmaid from Nicole + Bobby's wedding last year so there was an automatic comfort level for all of us working together! Plus, we did some great engagement pictures you can see here. It was my first time photographing a wedding at the Hessenland Inn and I have to say it's an amazing venue. The reception room is an old stone barn and the bridal suite is in the converted silo with amazing views! After everyone was ready and looking great, we headed across the grounds for an outdoor wedding ceremony. The weather forecast hadn't been looking great all day, and there was a brief moment it looked like we might be getting wet during the ceremony, but my lucky habits foot worked again and it blew past us. Hessenland Inn has access to a great beach so after some portraits with the families and the wedding party I took Rebecca + Jeff down there for some portraits of just the two of them. The reception had everything... great speeches, great food, great party, great tornado.... Yep. The weather held out out for the ceremony and pictures but once the reception started it was a full blown thunderstorm for most of the night. At one point, during one of the fathers speeches the normal sounds of rain, thunder & lighting were replaced by about 15 seconds of a loud roar. We all kind of paused and looked up, half expecting the roof to come flying off but it quickly passed. The worst of the damage was several big trees on the property knocked down! 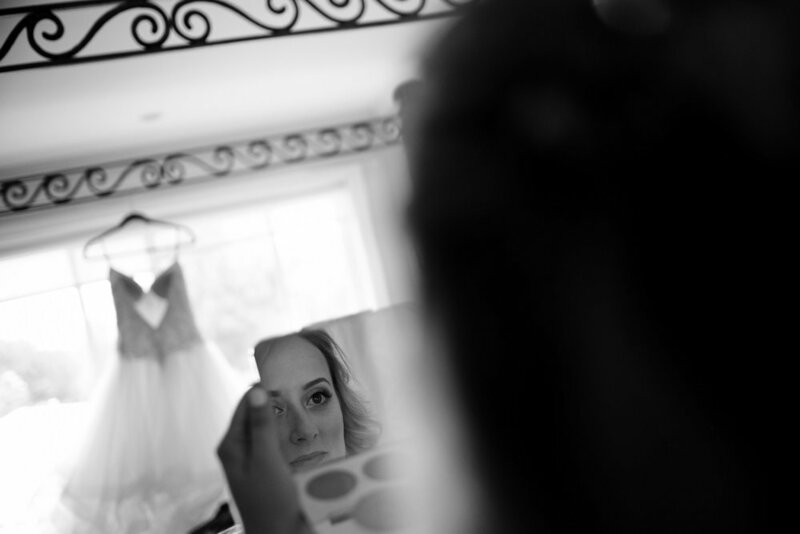 You can see some of my favourite wedding photographs from their wedding above as well as the full wedding slideshow below!